The My Passport portable drive is trusted to store the massive amounts of photos, videos and music you love. Available in an array of vibrant, fun colors, the sleek style fits comfortably in the palm of your hand, so you can easily take your treasured content everywhere you go.Automatically back up photos, videos, music and documents from your system onto your My Passport drive with the included WD Backup software. Set it to your schedule. Just pick the time and frequency.Built-in 256-bit AES Hardware Encryption with WD Security software helps keep your content private and safe. Easily add a “return-if-found” message as the password prompt in case your My Passport drive ever gets lost. Even great minds like yours can accidentally leave things behind.WD builds drives to demanding requirements for durability, shock tolerance and long-term reliability. 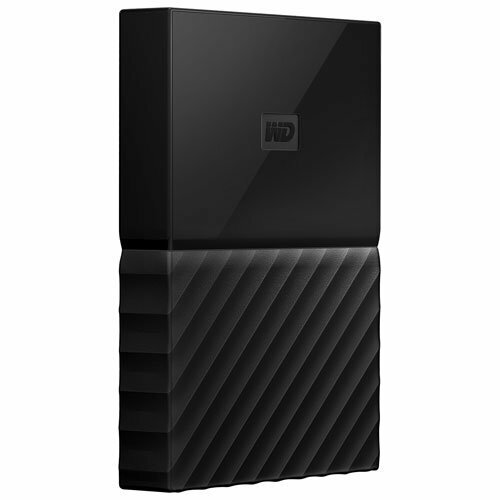 The Western Digital My Passport WDBYFT0040BBK 4TB Hard Drive was added to the Hard Drives category in December 2016. The lowest price GetPrice has found for the Western Digital My Passport WDBYFT0040BBK 4TB Hard Drive in Australia is $156.17 from Amazon AU. Other merchants who stock it are Amazon AU, PCcasegear, Scorptec Computers, Harris Technology, mwave, Mighty Ape.